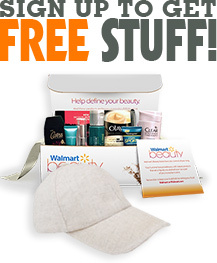 Get A Free MakeUp Eraser! #1 reusable makeup removal system in the world. Erase all your makeup with The Original MakeUp Eraser and water! Erases waterproof mascara, eyeliner and foundation. The MakeUp Eraser is also reusable, machine washable and will last you 3-5 years. Trusted by beauty blogger and vloggers around the world! The Original MakeUp measures 8″ x 16″. Take the MakeUp Eraser love test!  Completely free of charge we will mail you a MakeUp Eraser sample! We have saved our landfills of 1 BILLION makeup wipes and counting! Join the movement #nomorewipes Limit 1 per customer. Get one free today! To get this freebie all you have to do is click on the link below and then follow them on Facebook or Instagram. Fill out the form and select the free shipping option!